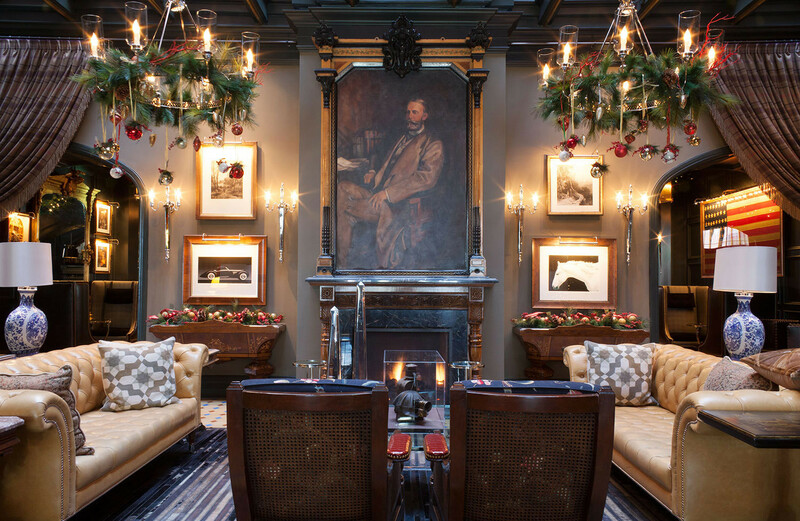 A portrait of Jerome B. Wheeler has pride of place among the leather chesterfields in the lobby of Aspen's Hotel Jerome. 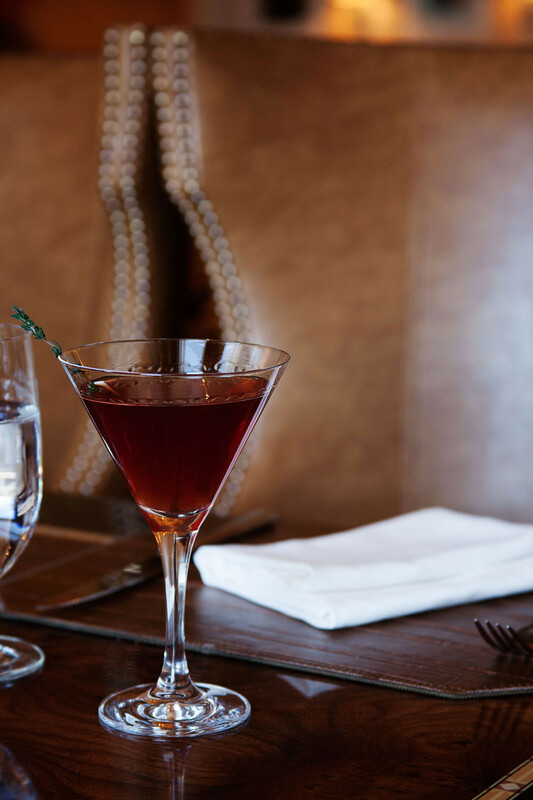 For all the Rocky Mountain highs, there’s more to Aspen than snow. Beyond the pristine ski trails and pricey boutiques, a pioneering spirit pervades its cobblestone streets; the soul of the place is palpable. On Main Street, the town’s storied legacy finds its embodiment in Hotel Jerome, the 125-year-old landmark that artfully nods to the past while ushering in a new era. Clockwise from top: The hotel's Victorian façade. Rocky Mountain views. A furry neighbor. An antique settee in an elegantly wallpapered hallway. Hotel Jerome's logo. The hat worn by the hotel's bellhops. So in 2012, when talks of a badly needed multimillion-dollar renovation became more than just rumor, there was much speculation as to the fate of the property—namely, whether the project would preserve its iconic spirit. Those fears turned out to be unfounded. 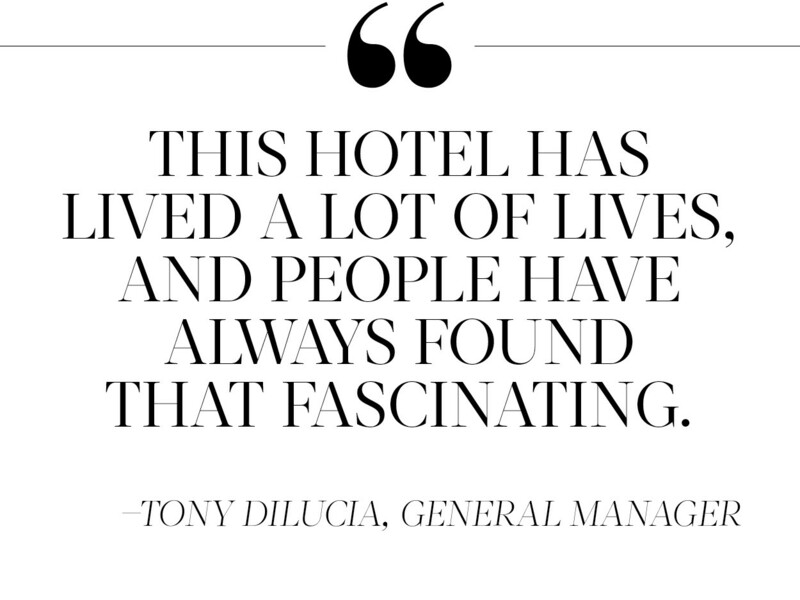 “The bones were all here—it was just a matter of bringing the hotel back with sensitivity to its place in the town’s history,” says DiLucia. 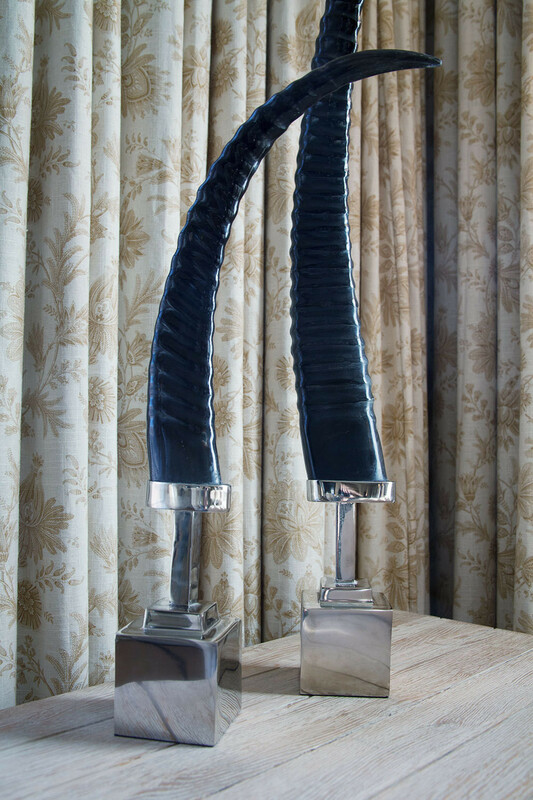 Lacquered horns with chrome accents on a cocktail table in the Presidential Suite. Cork wall coverings and flannel carpeting create a soothing atmosphere in a guest room. 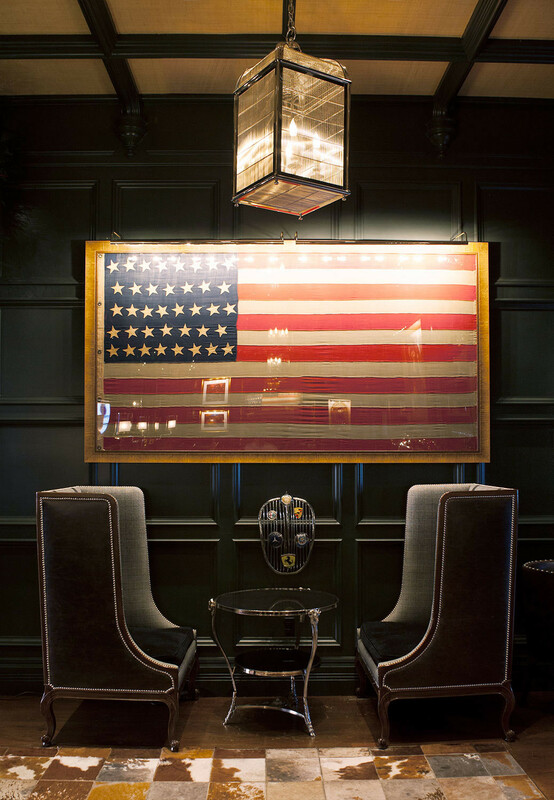 Love the cozy yet urbane aesthetic on display at Hotel Jerome? See below for tips on how to achieve it, and don’t miss the Joss & Main sale inspired by the hotel. Infuse a room with tactile elements that add texture and beg to be touched. Leather, velvet, flannel, animal hides—a small amount of luxury goes a long way to creating a comfortable space. Don’t stick with just one fabric. 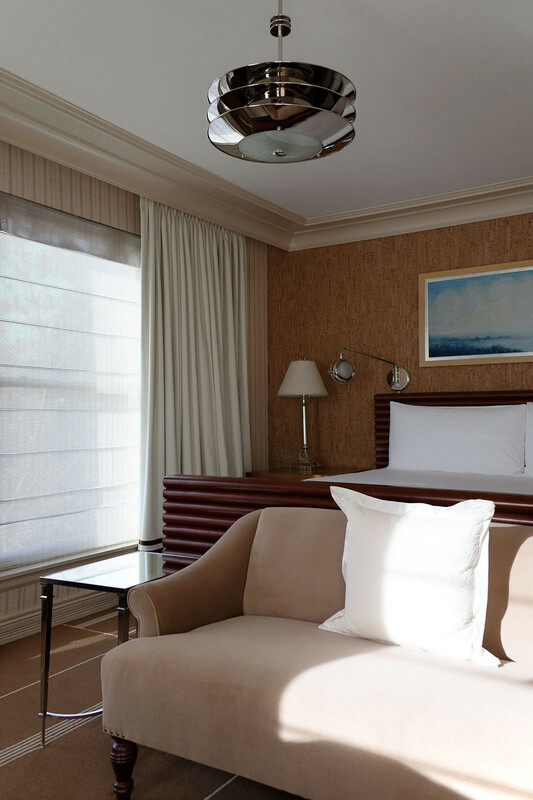 At the Jerome, complementary textiles are used on the floors and walls, as well as to dress the windows. 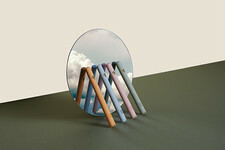 The combination provides a finished look that feels personal and thoughtful. A muted color palette is both soothing to the eye and soul, allowing you to experiment with sleeker accessories, such as chrome fixtures, without altering the overall vibe of the space. 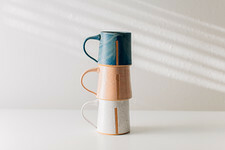 Blend pieces from different time periods and styles—modern lamps, classic furniture, cabin-inspired textiles—for an eclectic, collected look that oozes personality. A cocktail served at Prospect, Hotel Jerome's in-house restaurant. 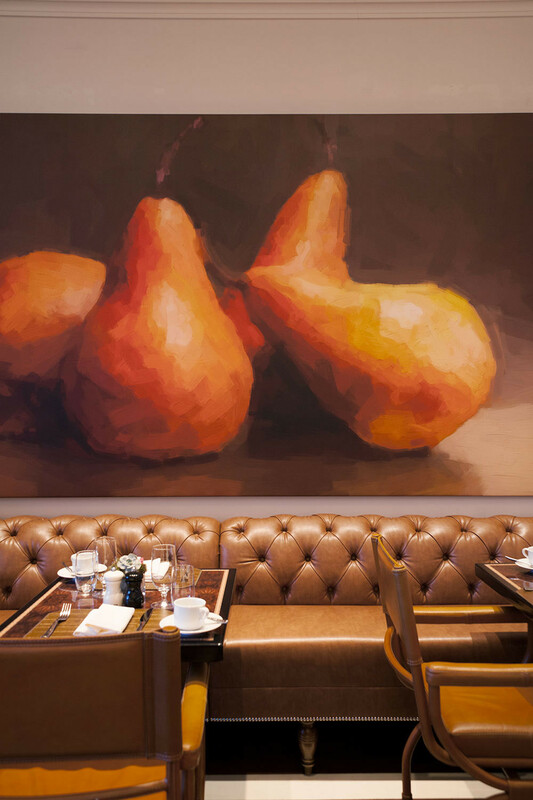 A leather banquette hews to the restaurant's muted color scheme. For now, the only time warps come from walking through the doors of the Jerome itself, and in the untold stories that lie in wait after a glimpse of her treasures: a quote from Hunter S. Thompson here, a 48-star hand-stitched American flag there. “There’s this spell that’s cast from the minute you enter the building,” says DiLucia. “You never want to leave.” Biased though he is, we’re inclined to agree. 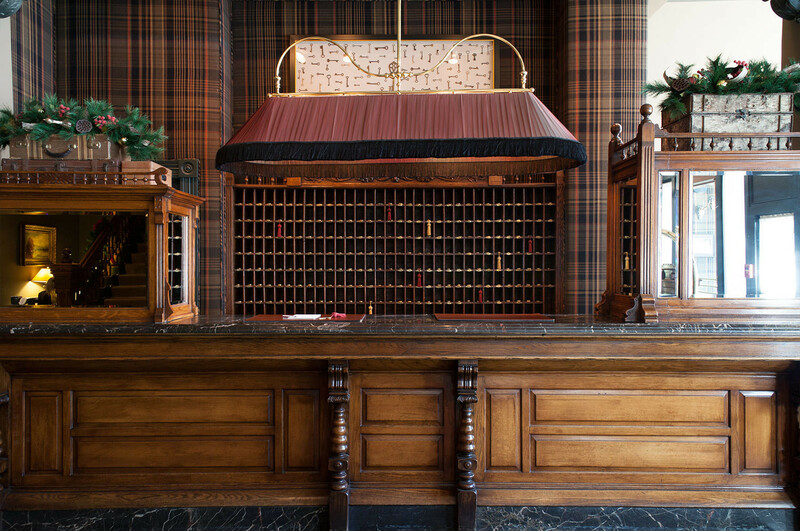 The original front desk dominates a plaid-and-marble-accented reception area.